Why hello there, slightly smaller Droid! I have so many questions for you. Like, why do you have Motoblur? How much do you cost? When can people buy you? Why aren't you officially part of the "Droid" line? • Pre-loaded applications such as Gmail, Google Talk, YouTube, Google Search and Google Maps with Google Maps Navigation, which implies that the software is at least Android 1.6, though hopefully 2.0 or 2.1. • MOTOBLUR, and all the social network-y business that entails. What we have here is a competent little phone, shrouded in artificially enforced mystery. Is it worth your time? I honestly have no idea, until we have a price. Here's the Full press release below. UPDATE: Aaaand for a little perspective, here's what it looks like next to a Nexus One. That's a bezelly phone, right there. BASKING RIDGE, NJ, and LIBERTYVILLE, IL - Verizon Wireless and Motorola, Inc. (NYSE: MOT) today announced the availability of Motorola DEVOUR™ in March. Motorola DEVOUR will be the first Verizon Wireless phone to feature MOTOBLUR™, Motorola's unique Android™-powered content delivery service created to make wireless phones more personal and customizable. * Back-Up and Security – Contacts, log-in information, home screen customizations, e-mail and social network messages are backed up automatically on the secure MOTOBLUR portal. The portal also allows customers to use the phone's fully integrated aGPS to help locate the phone if misplaced. Remote wipe easily clears information from a lost device. MOTOROLA and the Stylized M Logo are registered in the US Patent & Trademark Office. Android, Google, Google Maps, Android Market, Google Search, Gmail, YouTube, Google Talk are trademarks of Google, Inc. All other product or service names are the property of their respective owners. 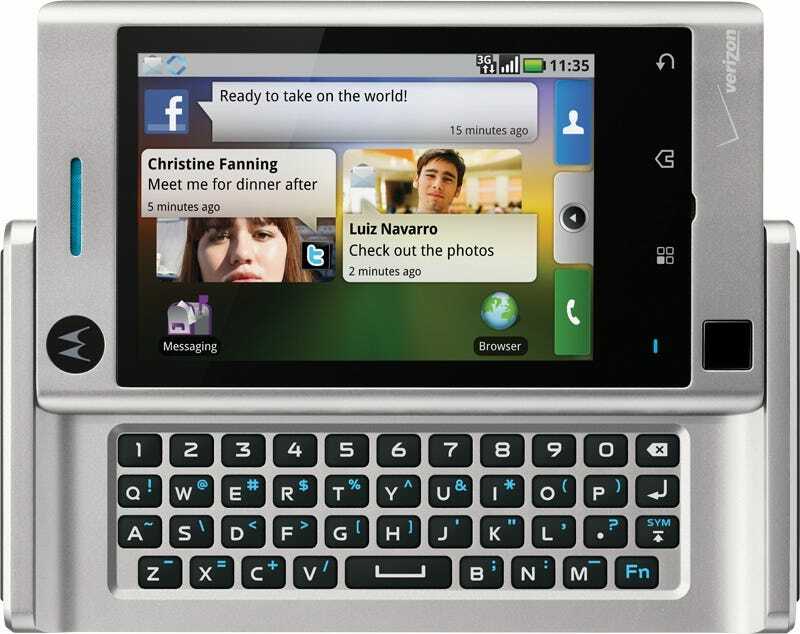 © Motorola, Inc. 2010. All rights reserved.